Purifies, revitalizes and relaxes skin. 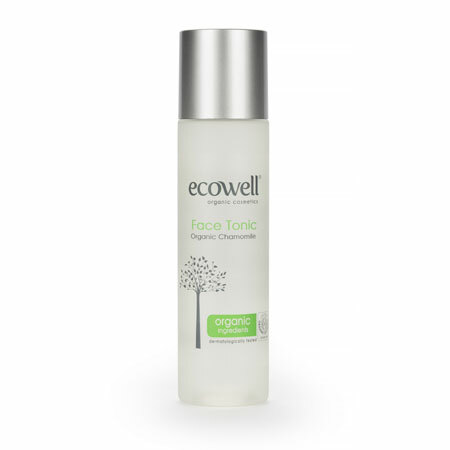 Organic Myrtle Water deeply cleanses, purifies and tones the skin and contains anti-acne properties. Chamomile Extract is famed for its soothing properties; reducing inflammation. It also effectively removes excess sebum and dead skin cells while also preventing clogging of the skin pores.It is gentle and does not dry and irritate the skin. How to use: After cleansing with Ecowell Liquid Facial Soap, moisten a cotton pad with the Ecowell Facial Tonic and apply onto face, avoiding the immediate eye area. 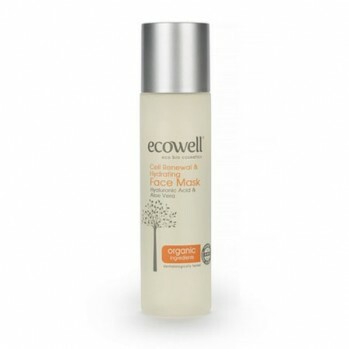 For best results, finish with Ecowell Ultra Moisturising Eco Bio Face Cream. Suitable for all types of skin. 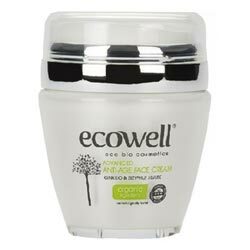 Ingredients: Aqua, **Myrtus Communis Leaf Water, Glycerin, **Chamomilla Recutıta Extract, Phenethyl Alcohol, Ethylhexylglycerin. Excellent product! Gentle but really effective for my skin!